Fill someone's birthday with color! 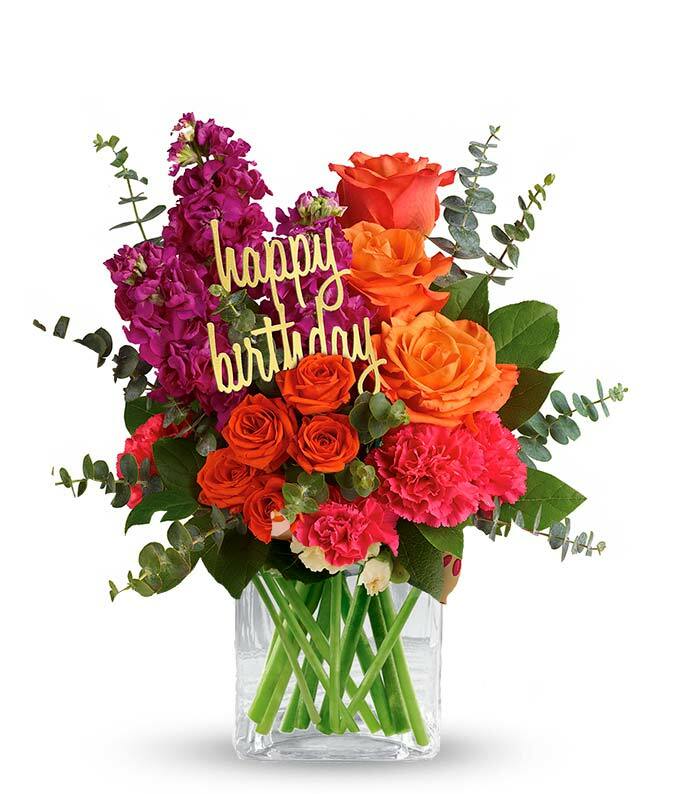 This brightly colored birthday flower bouquet is created with mixed floral stems including orange roses, pink carnations and orange spray roses. All the beautiful flowers are hand arranged by a florist near you in a glass cube vase. Note: Happy Birthday pick may vary depending on local florist's availability.